Elizabeth Grennan Browning is a U.S. historian, focusing on environmental history, intellectual history, urban history and cultural history. 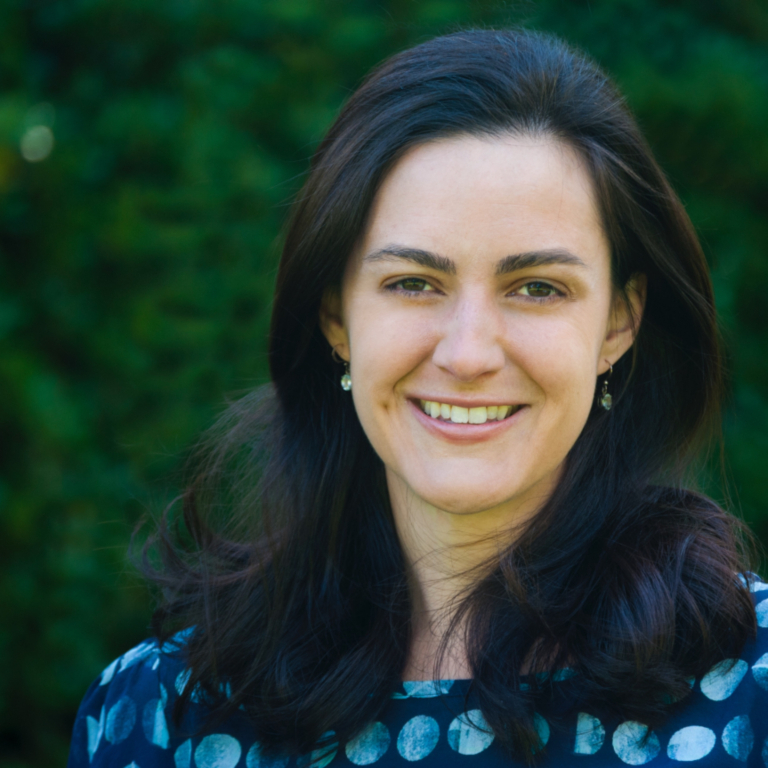 She joined the Environmental Resilience Institute as the Midwestern/Indiana community history fellow after receiving her Ph.D. in history from the University of California, Davis. She received bachelor’s degrees in philosophy and international studies from Northwestern University. During her graduate studies, Browning developed an appreciation for cross-disciplinary collaboration on environmental issues through participating in the Environments & Societies: History, Literature and Justice colloquium series. Browning's interest in Midwestern history and environmental history began when she studied environmental justice issues as an AmeriCorps VISTA researcher at the Sargent Shriver National Center on Poverty Law in Chicago. Through her work with the California History-Social Science Project, Browning has expertise in integrating environmental literacy strategies within history and social science curriculum for K-12 classrooms. Historian Elizabeth Grennan Browning studies how people in the Midwest have thought about and engaged with environmental issues since the nation’s founding. She is interested in understanding how attitudes about the environment have formed and changed among different groups, and how evolving ideas about social justice have influenced these opinions. At the Environmental Resilience Institute (ERI), Browning is researching how Indiana residents view their communities’ histories in relation to the environment and how they understand past efforts to address environmental change. This information will be used not only to record and reflect Hoosier perspectives on environmental challenges but also to help inform ERI researchers about the needs and concerns of communities around the state. 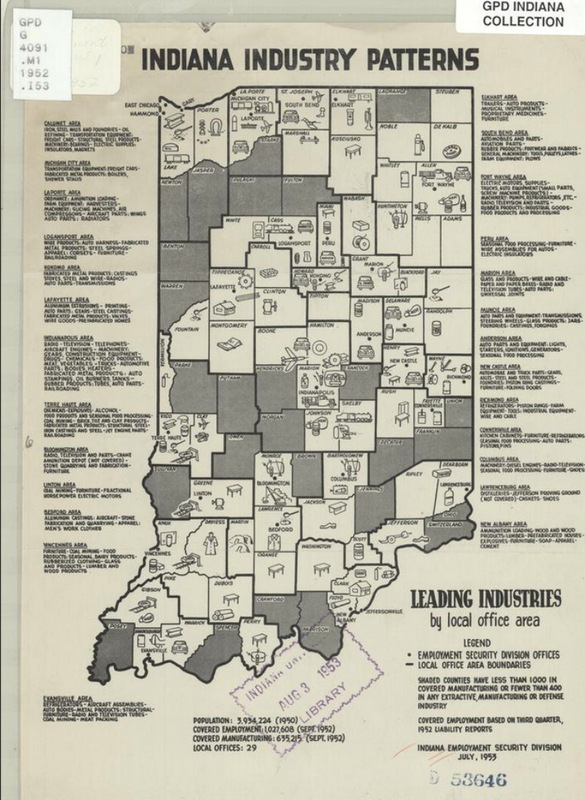 Indiana industry patterns: leading industries by local office area, Indiana Employment Security Division, 1953. 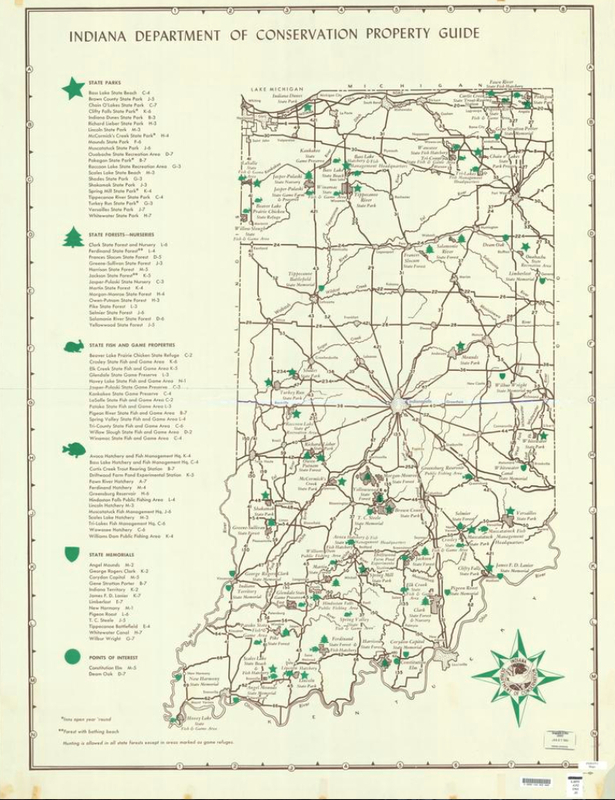 Courtesy, Wells Library Map Collections, Indiana University, Bloomington, Indiana. In her current project surveying Indiana’s environmental history, Browning is conducting archival and oral history research and is gathering personal stories about living in and with the changing Indiana landscape. She is interested in uncovering how Hoosiers see themselves both as actors influencing the environment and as recipients of environmental change. By speaking with people representing a range of ages – for example, several individuals within multi-generational farming families – she aims to consider how environmental approaches and thinking are shifting over time. In each of seven distinct Indiana regions, she will also incorporate a focus on a particular environmental health issue, such as pesticide use in the corn/soy belt and lead contamination in the industrial Northwest. Browning’s next project, Hoosier Echoes in the Anthropocene, is a participatory, grassroots exhibition of historic and artistic storytelling about environmental change, which will bring together images, objects, and narratives of the everyday interactions of Hoosiers and their environment. Assembled and displayed within public, civic spaces such as libraries and historical societies, this traveling exhibition will spur discussion of the real, localized impact of global environmental change that makes itself known through challenges to our public health, agriculture, industry, and infrastructure. Indiana Department of Conservation property guide, Indiana Department of Conservation, [1961?]. Courtesy, Wells Library Map Collections, Indiana University, Bloomington, Indiana. Browning is developing this project in collaboration with ERI Artistic Social Practice Fellow Maria Whiteman, Grunwald Gallery Director and School of Art, Architecture + Design faculty member Betsy Stirratt, and IU history professor Eric Sandweiss, who is also the editor of the Indiana Magazine of History. To incorporate as many voices as possible, Browning plans to partner with community organizations to build a digital platform that will help empower Indiana residents to contribute their own stories and thoughts to the evolving historical record documenting the effects of environmental change. Browning is also working with K-12 education researchers and educators to develop social studies and history curricula that incorporate environmental literacy strategies for Indiana elementary and middle school classrooms. She plans to share this content as part of the Educating for Environmental Change (EfEC) professional development program, which will support educators across the state in effectively teaching the science and social implications of climate change.